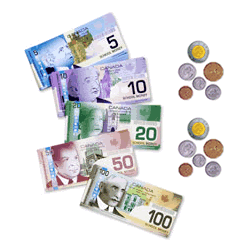 Learn how to get the best CAD exchange rates with our Canada Money Transfer Guide. 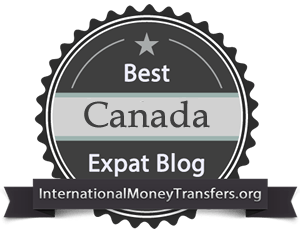 It does not matter whether you live in Canada and need to transfer money out of the country, or the other way around, we got you covered with top recommendations for Foreign Exchange companies. Our focus is on sending money to Canada from the UK, USA, Australia and EU countries like Italy or Spain, as well as sending money from Canada for investment or as remittances. Special Offer: Readers who are sending money to Canadian bank accounts (or from Canadian bank accounts) are eligible for the unique, preferential, $CA dollar rates with World First – one of the best-known companies in this field with trading volumes of more than $CA 8bn per year. World First deals with more than 150 currencies. Find some of them here:- World First rates. As long as you move CA $1,000 or more, you should inquire with them using this link to get our preferential rates. Transfer fee up is $13.50 CAD but with "Additional service fees" may apply (from their website). Limited to transfer of $2,500 CAD per day. No personal currency guidance from the staff. 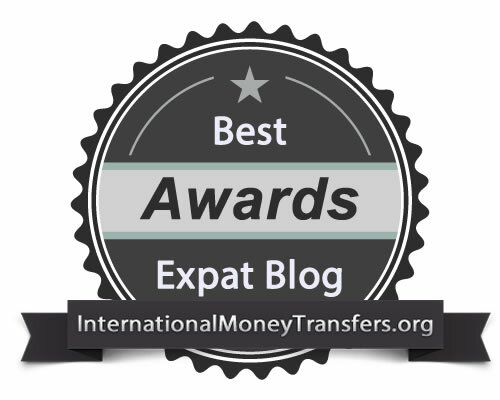 Up to 5% Transfer Fees and bad Currency Exchange. Easy but expensive. Currencies Direct will help you send money to Canada from the most popular destinations like USA, UK, Australia, Germany, Italy, France, Austria, China, Japan, Hong Kong, Singapore, New Zealand (overall over 50 locations worldwide). To complete your inquiry you are encouraged to complete the form on their website. With World First you are in the same situation – free to send money from all over the world as they have a very developed infrastructure and local offices on 4 continents. With just a few clicks on their website, you can send money to your recipient bank account. TransferWise uses a technology based on a peer-to-peer system that eliminates the bank fees from foreign exchanges by matching its users based on the currency they have and require. For the customer, this means a faster and cheaper transaction. Funding your transfer is easy with all the firms. You can do this online through your credit card, or through a domestic transfer from your bank account. The money will be sent to a Canadian bank account only (no cash pickup options). Why Them? Highly reliable - moving hundreds or millions to Canada annually. Highly localized - local offices in north America, and FinTRAC registration. 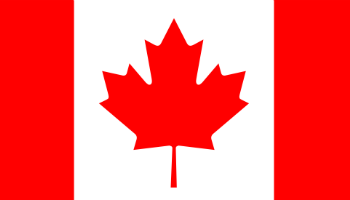 Sign up for Canadians is effortless and you receive an immediate quotation. With WorldFirst you can send money everywhere in Canada, as there are no state restrictions like in some cases in the USA. The legislative body in Canada, FinTRAC, does not approve services by providence, so you are able to use the service whether you are from Ontario, Quebec, Alberta, British Columbia or another province. In fact, WorldFirst’s support is also available in French, so language and geo-location within Canada should not bear a restriction. Currencies: You can choose from more than 100 different currencies. You can send money from Canada to over 100 countries like USA, Australia, South Africa, Japan, Italy, Spain, Germany, France and Israel, and also remittances focused countries which are very popular by Canadian immigrant workers like Romania, Poland, Brazil, and Mexico. If you want to send money from Canada to the USA, or anywhere else in the globe, you need to keep in mind the fact that the benefits are bigger when sending larger amounts of money with WorldFirst. But if you need to make regular small payments, or send money home, then TransferWise is a great choice as they have fixed spreads, which translates in a small and fixed fee regardless of the amount. Short-term Canadian dollar moves are correlated strongly with oil prices. Relative changes in US and Canadian interest rates the most important overall currency influence. The independent Bank of Canada (BoC) has a mandate to maintain price stability which is defined as a rate of 2% with a 1% margin either side. The Canadian dollar will strengthen when the BoC is tightening policy to keep inflation low and weaken when the BoC is cutting rates. Oil and energy products account for around 20% of exports. The short-term currency performance is, therefore, related significantly to changes in oil prices. The Canadian dollar strengthens when energy prices rise and weakens when prices decline. Lower energy prices increase the likelihood of a cut in Canadian interest rates. 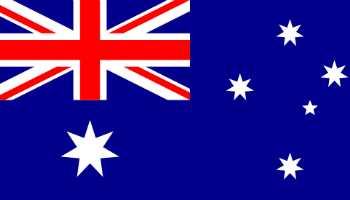 Mineral and mining exports are also an important part of the trade account. The Canadian dollar trends are, therefore, also correlated with the global economy with strength leading to currency gains. Canada has run a current account deficit for the last 8 years and is dependent on capital inflows which increases sensitivity to the global growth cycle. 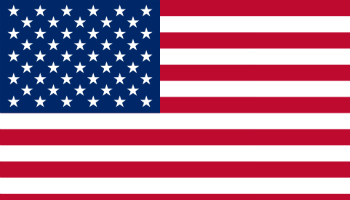 Around 75% of Canadian exports go to the United States and there is a very strong linkage between the two economies. A sharp deterioration in the US outlook would undermine the Canadian dollar in relation to European and Asian currencies. The most important factor influencing the Canadian dollar is relative changes in US and Canadian interest rates. The Canadian personal finance eco-system is also on an uprise. Companies like Simplii Financial, an online-only Canadian bank, is taking a massive market share off of its competitors. The Canadian market appears to be riper than ever before to use alternatives to big banks and as the competition increases, the rates provided to clients are getting better. The Canadian dollar is the 5th most used reserve currency worldwide, accounting for approximately 2% of all global reserves. The confidence in this currency is derived from the stability of the country’s economy and political system. Business: Canada is one of the few countries where the exports are almost at the exact same value as the imports ($620 bn to $638 bn). A big portion of Canada’s exports is accounted to natural resources, such as wood pulp, timber, crude petroleum, natural gas. Canada has also a sizeable manufacturing sector with the automobile and aircraft industries being of high importance. The main export partners are the United States (responsible for more than 75% of the total), China, the UK, and Japan. Real Estate: The market in Canada has been booming over the past few years as more and more investors have developed new projects in big cities like Toronto or Vancouver. As we’ve seen for the first part of 2016, it seems that the trend will continue. Perhaps not at the same pace but with stable, modest growth. This creates a low-risk environment for real estate developers and investors. Montreal market has had a nice rise in 2016 and it is currently the third in the top markets to watch in Canada, according to a study conducted by PwC. 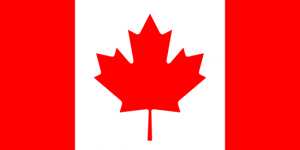 If you consider moving into Canada and live there as an expat, you may find the following information helpful. Low Unemployment Rate: Canada has a 7.2% unemployment rate. High Salary: Average household earns 28,194 USD per year. Good Work-life Balance: Canadians work on average 1,702 hours per year, which is 74 hours below the OECD average. High Taxes: Ranging 20 – 30% of the paycheck. High Cost of Living: two-bedroom apartment on average costs 1,800 GBP. High Education Costs: Average university fees are 10,000 GBP per year. Popular cities for business and real estate transactions from abroad, in Canada: Toronto, Montreal, Calgary, Ottawa, Edmonton, Mississauga, North York, Winnipeg, Vancouver, and Scarborough.
. Let’s assume you found an attractive bungalow near Fort Myers, Florida you want to buy. To purchase it, you need to move 10,000 USD for the down payment. According to Royal Bank at 1:18 am GMT on April 1, they had a CAD/USD rate of 1.3627. At this price, you’d need to come up with 13,627 CAD. However, you could get a much better rate through an online money transfer provider. On internationalmoneytransfers.org, the worst rate offered was 1.3300 – this means you could buy 10,000 USD for 13,300 CAD. By going online, you’d save more than 300 CAD – enough to upgrade to business class on your next flight down south! Canadian Transit number, IBAN or SWIFT. Amount to send, the relation between send and recipient and the reason for transfer (unless it’s two accounts owned by the same person or company). Documentation to prove your identity. Note: Because the process involves money transfers and they need to be in compliance with the Anti Money Laundering laws, setting up an account is very similar to that the banks require. Approve the quote and lock the rate. The FX dealer will send your money right away if you need it, but they can also hold the funds for delivery at a later date. If you set up a forward contract with the broker, you’ll lock in today’s currency exchange rate for a period of up to 12 months. This means if the GBP to Canadian dollar exchange rate drops a month from now when you need your money, you’ll still be paid on the previous, higher rate. Send the money to fund your transaction. Once you have agreed to the rate you’ve been provided with, whether verbally by phone or online, you are reliable to fund your transfer within a period of up to 5 days through a domestic bank transfer. Receive a quick confirmation via email and/or phone call from the dealer once money has been sent, which should take no longer than 2 days to most popular destinations around the globe. Canada has no foreign exchange controls, which facilitates its high foreign exchange volumes. The diverse industries and lax policies towards skilled migration have maximised foreign trade. Canada’s central bank, the Bank of Canada, works in conjunction with the Office of the Superintendent of Financial Institutions to regulate financial institutions. The Bank of Canada regulates monetary policy and monitors the value of the Canadian Dollar (CAD), but only intervenes in the case of rapid fluctuations. The Financial Transactions and Reports Analysis Centre (FinTRAC) is an independent body under the Ministry of Finance. FinTRAC monitors businesses and financial transactions to prevent money laundering. Values exceeding CAD1,000 all go through FinTRAC. It is therefore recommended to use FinTRAC registered brokers. Canadian individuals and corporations are taxed on any foreign income. Non-residents are charged corporate and income tax on money generated from business and property sales conducted in Canada. Provincial taxes also may apply. On income generated from Canadian investments, non-residents are subject to a 25% withholding tax on dividends, certain interest payments, rents and royalties. We hope that by reading this article you will be able to stop using your traditional banks and send money to Canada with zero fees and with a better exchange rate for your currency. So, on your next money transfer to Canada, be sure to use one of our recommended FX companies and get more out of your money.